Thomas Y. Pickett has set the professional standard for the industry with over ninety years of continuous experience in mass appraisals of residential properties, vacant and productive agricultural land, industrial property, commercial property, natural resources and other complex and specialized properties. Since our beginning in 1926, our staff of professional engineers and licensed appraisers have served well over three hundred taxing districts, clients both large and small. Our Company has experienced first-hand the growth in real estate throughout Texas and in many other areas of the nation. 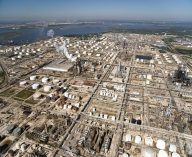 The scope of our work and appraisals range from small oil field industrial properties to the major industrial installations throughout Texas, Wyoming and along the Mississippi and Louisiana Gulf Coasts. We have been extensively involved in real estate appraisals and ratio studies across the state of Texas. The company conducted ratio studies in over eighty-five counties in Texas during the process of the state’s restating and adopting a new Property Tax Code in 1979. From 1992 to 2002 our firm conducted the largest privately contracted Property Assessment Study in the United States. Under contract with the State of Colorado, we performed this annual analysis on every type of property other than state assessed. The analysis involved the annual construction of a database that includes all necessary descriptive variables on over 95% of every parcel of property located in the State of Colorado. Our continuous service to governmental jurisdictions has allowed us to maintain a highly technical group of engineers and industrial technicians. Our staff’s continuous study and training keeps us abreast of technological advances and allows us to remain a leader in the appraisal field. Our engineers and technical staff, as well as our Registered Professional Appraisers, attend various appraisal schools and seminars throughout the year. We maintain the continuous educational units required by the State of Texas Comptroller of Public Accounts, under legislative mandate ensuring that we can handle all of your appraisal needs in an evolving market.